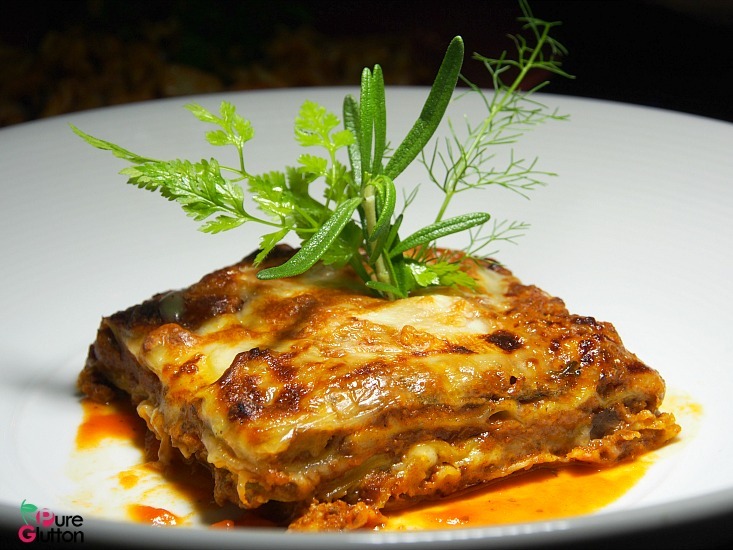 Although born in Milan, Chef Domenico Piras’ passion for cooking came from Sardinia when he move there from a young age. 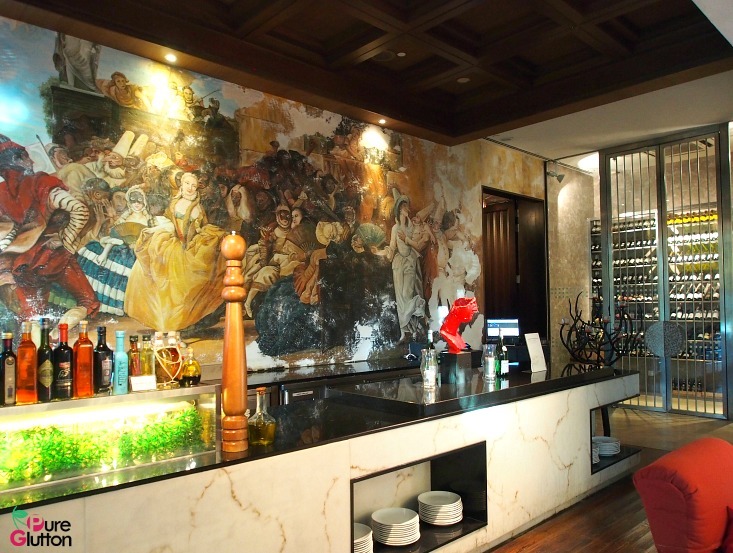 After having worked extensively in Europe, Chef Domenico came to Asia in 2004 with culinary stints in Singapore, East Malaysia, Brunei and now Kuala Lumpur. Love the deco in Favola – so beautiful! 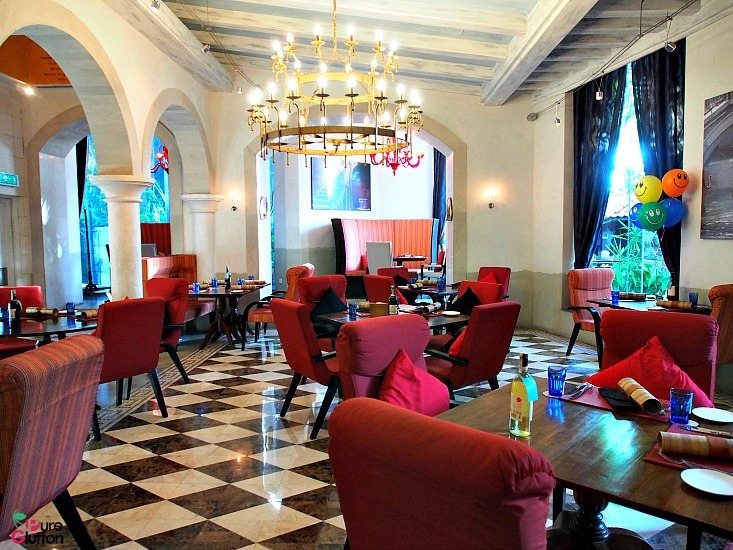 Since helming the kitchen at Favola at the Le Meridien Kuala Lumpur some months ago, the charming and hospitable chef has created a list of new items for the menu. 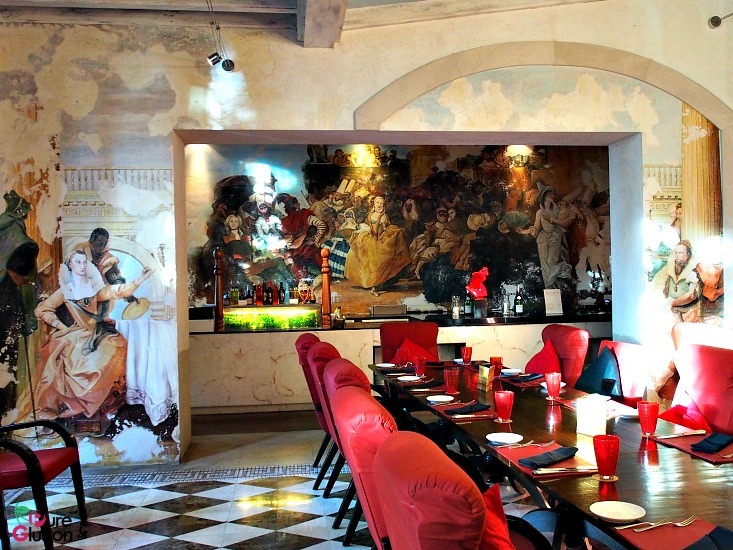 These are known as Chef Domenico’s “Speciality Menu” and are available for both lunch and dinner at Favola. 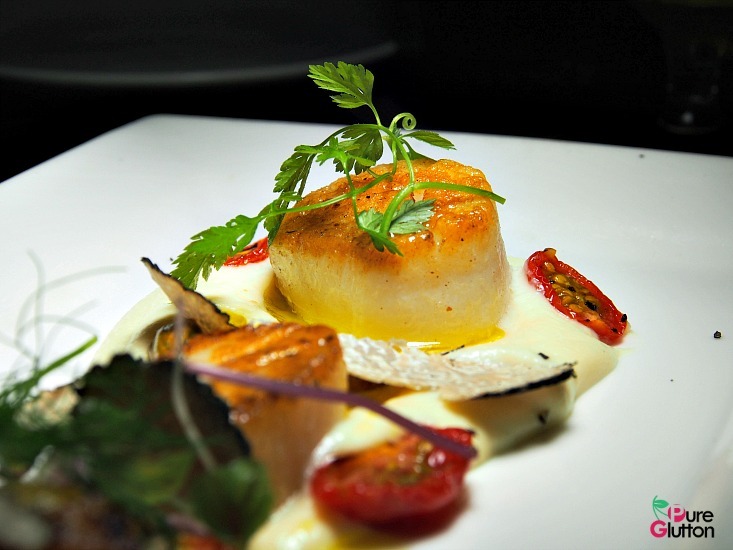 For someone who doesn’t like monotony in the kitchen, the good chef is adept with whatever resources available and comes up with some stunning creations. 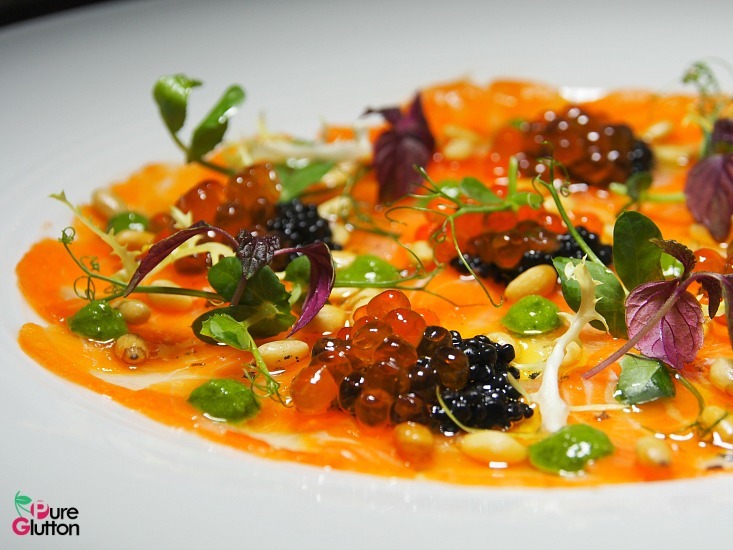 Salmon and Seabass Carpaccio (RM56) – a gorgeous sunburst of colours coming from salmon roe, toasted pine nuts, Hawaiian salt, parsley sauce, micro cress salad glistening with extra virgin olive oil. 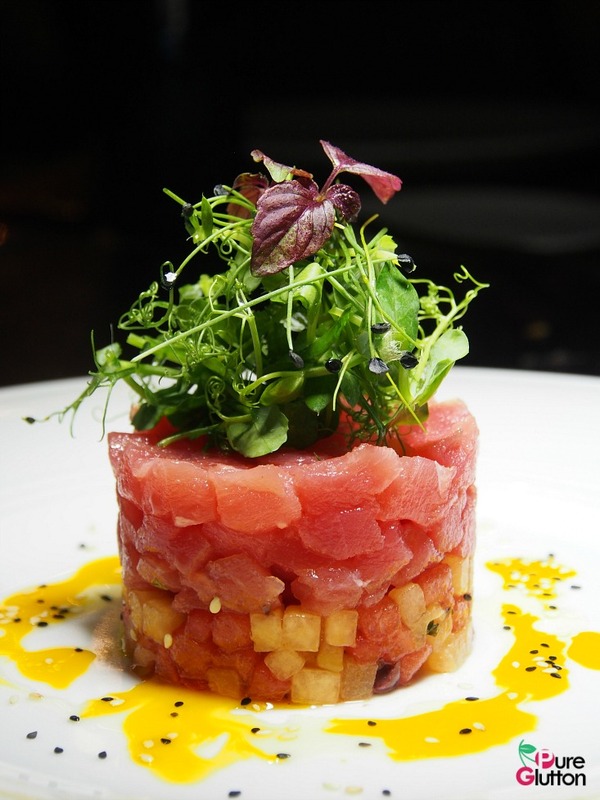 Maguro Tuna Fish Tartare (RM52) – a careful and precise ensemble of cubed cantaloupe, watermelon, taggiasca olives topped with mint salad. The visual was stunning and every bite a refreshing burst of marine sweetness! 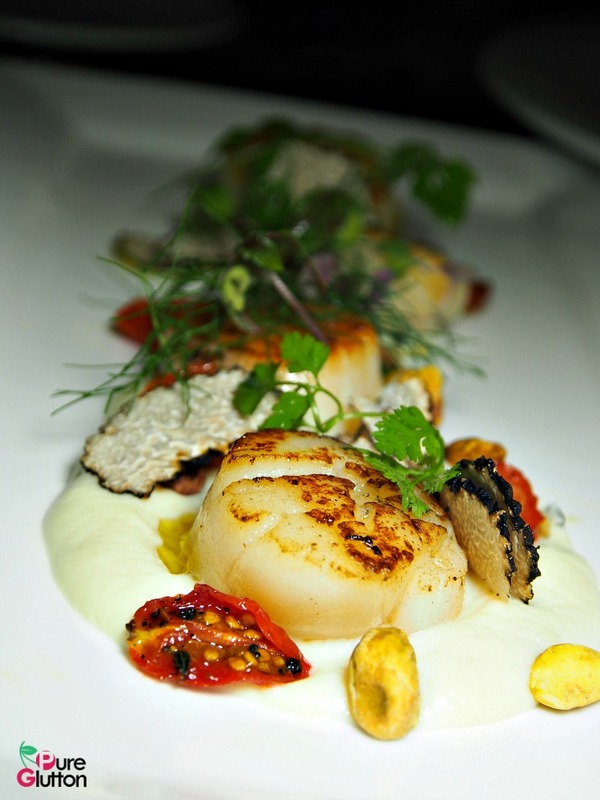 Pan-seared Scallops (RM79) – cauliflower and potato cream, tomato confit, black shaved truffle and roasted pistachios. 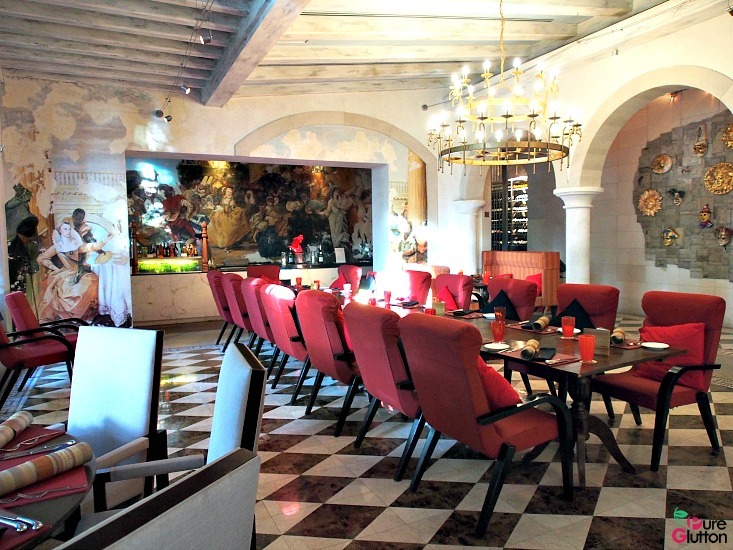 The aromas here were insane, thanks to the truffle which enhanced the dish so delicately. 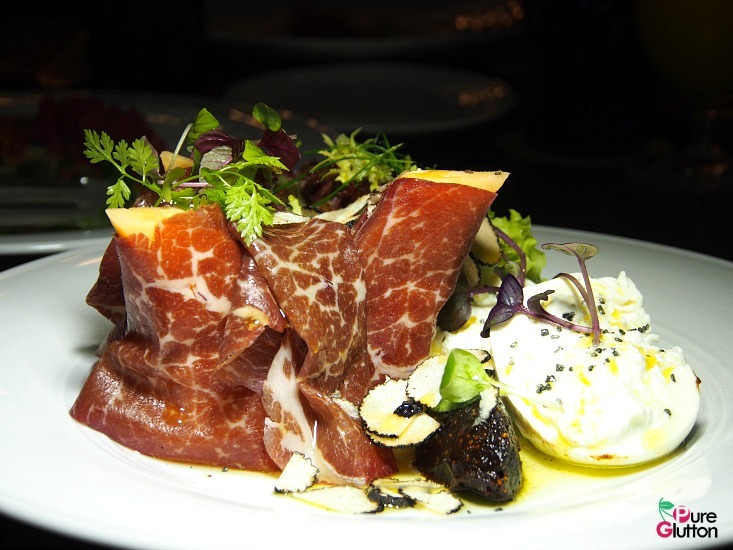 If you love buffalo cheese, then this is for you: Burrata Cheese with Beef Beresaola, Figs Compote and Black truffle. There’s so much comfort in every element of this dish. Notice how the chef loved perfuming his food with truffles? It’s hard to say “no” to freshly-made pizza from a wood-fire oven. 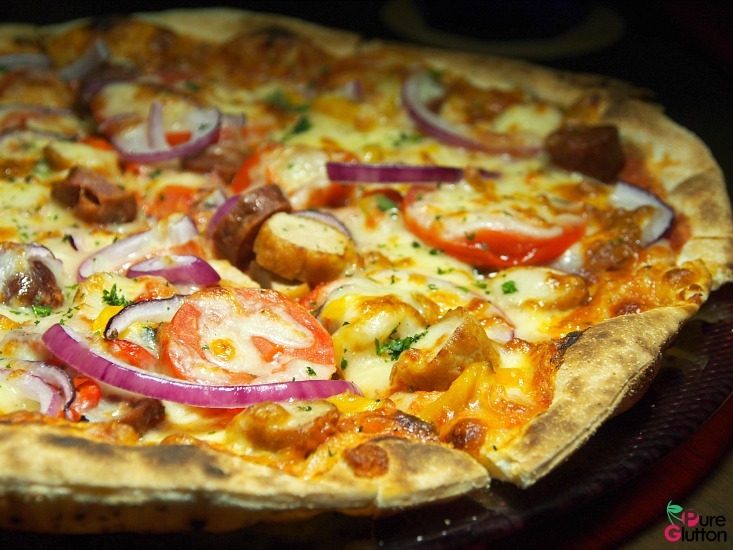 Chef Domenico’s Rustica Pizza (RM47) – topped with lamb and chicken sausage, onions, capsicum, chillies and fresh thyme couldn’t get any better. A master of pasta, Chef Domenico’s Sardinian Malloreddus Pasta (RM47) and Trofie in Seafood Sauce (RM58) were absolute must-try dishes! 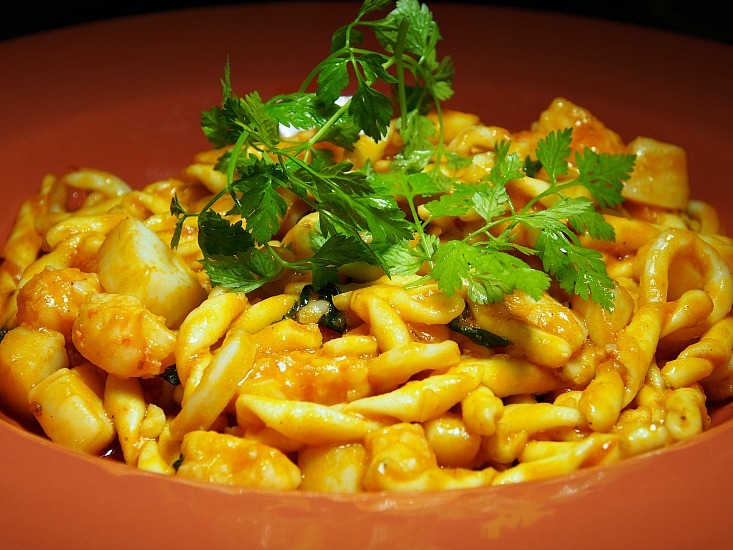 Malloreddus is considered the national pasta dish of Sardinia and it’s something the good chef is very proud of making. Looking like little shells, they are made from semolina flour, thus the texture is more hardy. 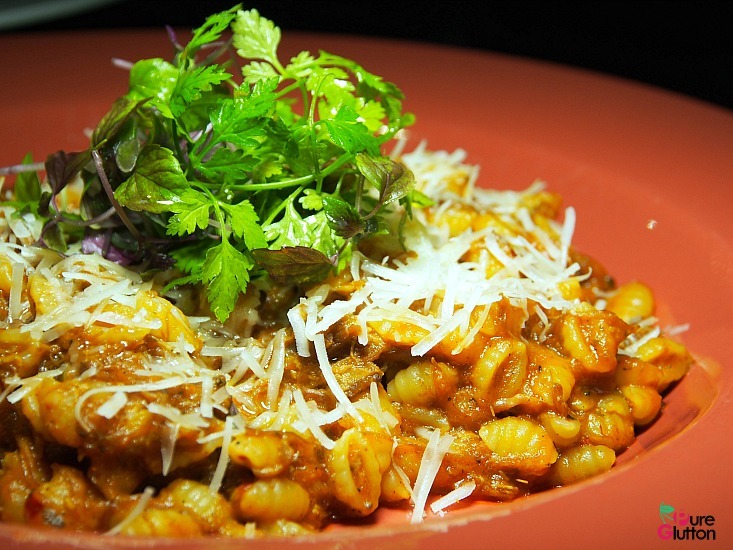 The pasta was cooked with a lamb shoulder sauce which had been slow-cooked for 8 hours. Needless to say the robust flavours were totally spot-on, coating every piece of the malloreddus with shreds of tender lamb. 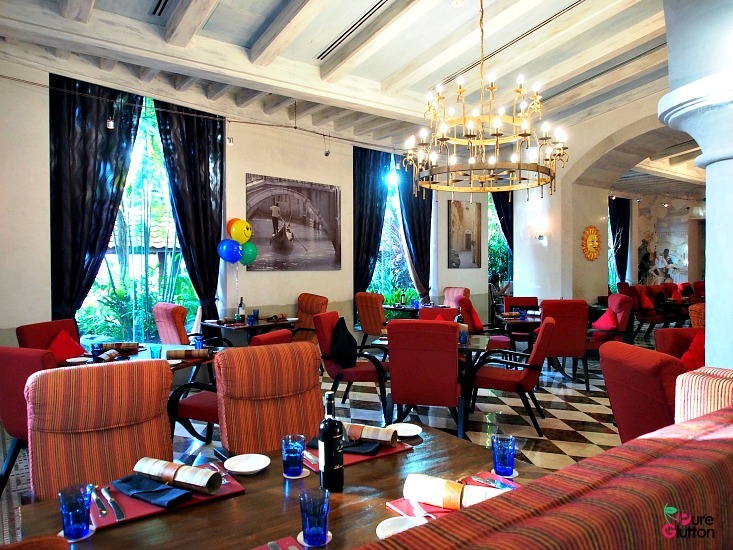 Another uncommon pasta which the chef loved to cook was the trofie. It’s my first time having these short, thin twisted pasta with a nice bitey texture. The trofie were tossed in a rich tomato sauce with prawns, scallops and squids and I think I’ve found my favourite pasta dish in Favola! 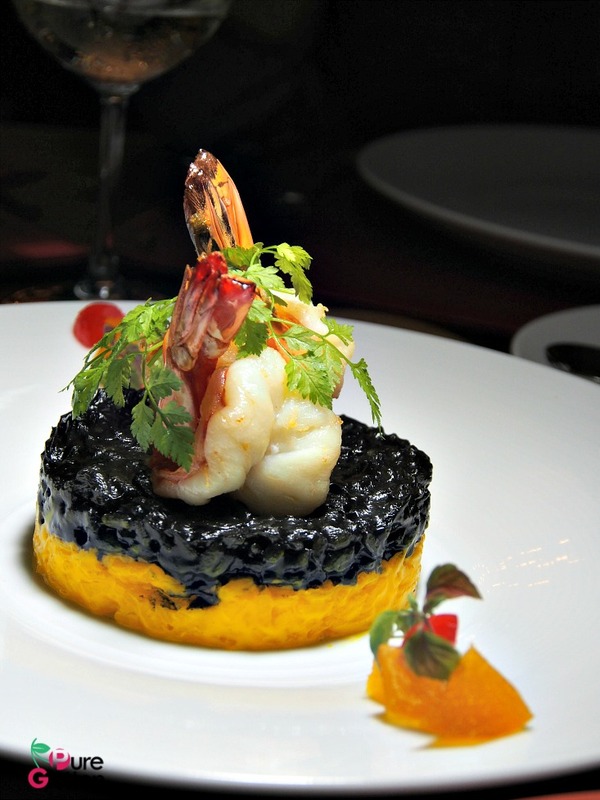 A play on saffron and squid-ink in Chef Domenico’s Oro Giallo Risotto dish produced gasps of delight when the arresting yellow and black concoction was presented. 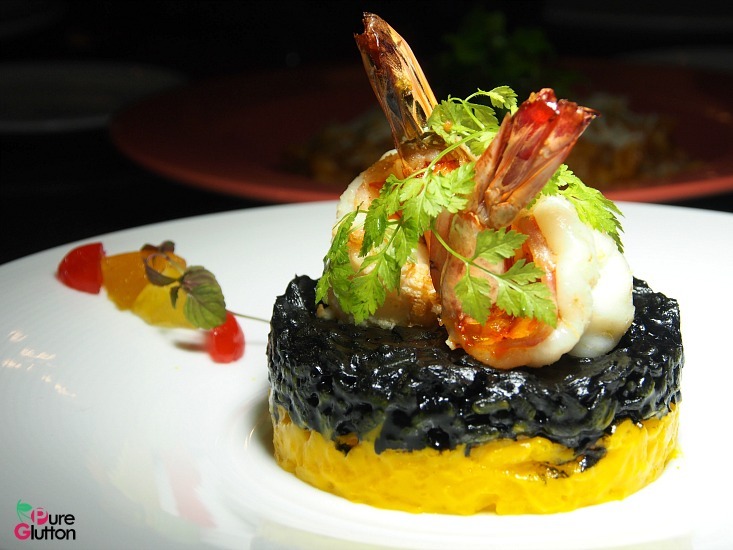 Topped with two plump succulent shelled prawns, the risotto tasted every bit as good as it looked. 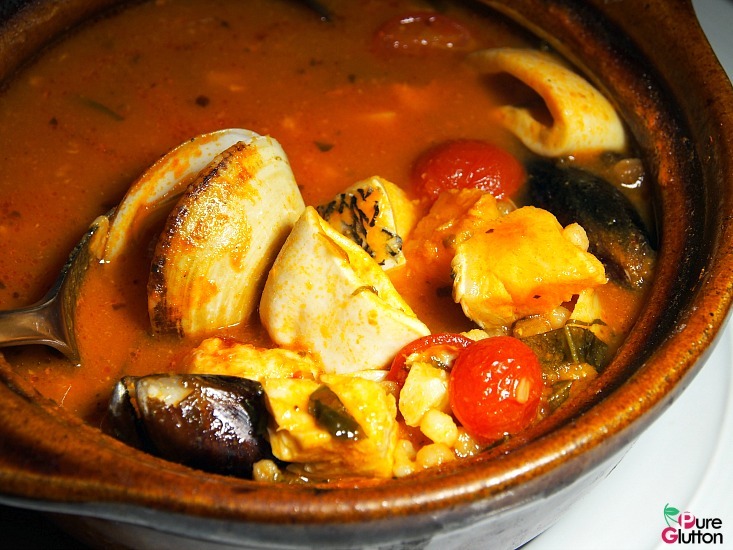 A typical Italian soulfood item is the Seafood Pingiadedda (RM148, portion suitable for 2 persons). It’s a hearty seafood broth, flavoured delightfully with baby tomatoes and aromatic prime herbs. Every piece of the fish, mussels, clams and shrimps swimming in the broth tasted heavenly – I’d definitely order this again and again! 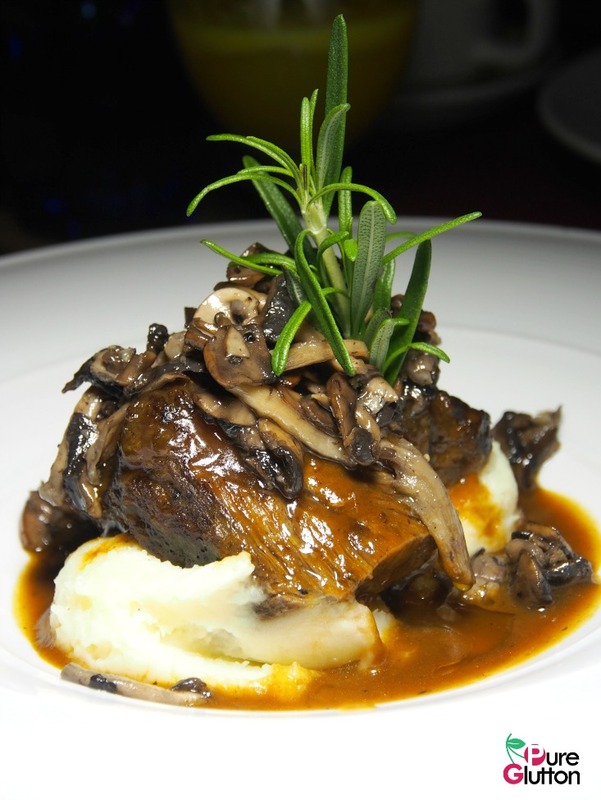 Braised Beef Cheek (RM98) and Beef Lasagna (RM64) were probably the most “ordinary and regular” dishes that evening. 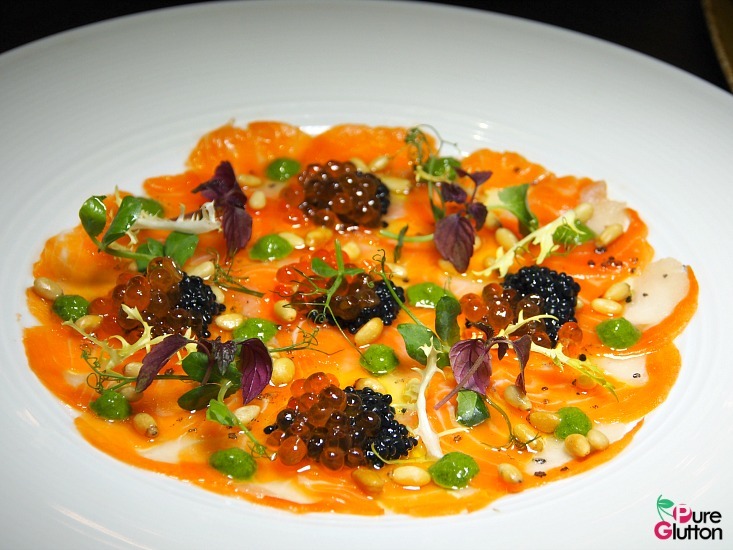 However, with his usual panache, Chef Domenico’s execution of these regular dishes was faultless. 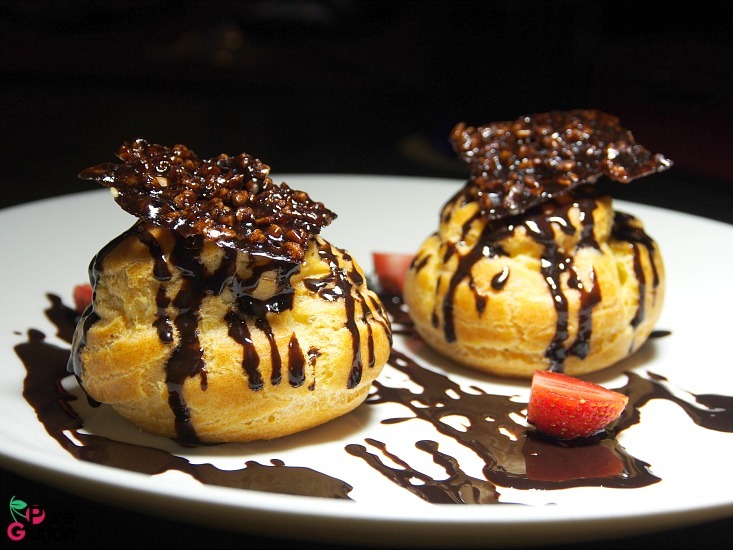 Dinner ended with sweet bites of light airy Profiteroles (RM37) filled with vanilla cream, chocolate sauce and topped with cocoa tuile. 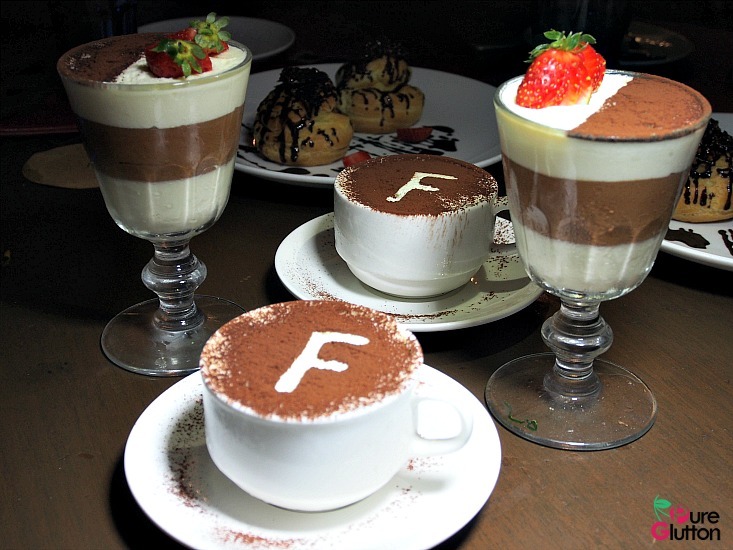 More indulgent sweetness came in the 3 Italian Delights (RM44) – layers of panna cotta, chocolate mousse and tiramisu arranged in a shot glass. 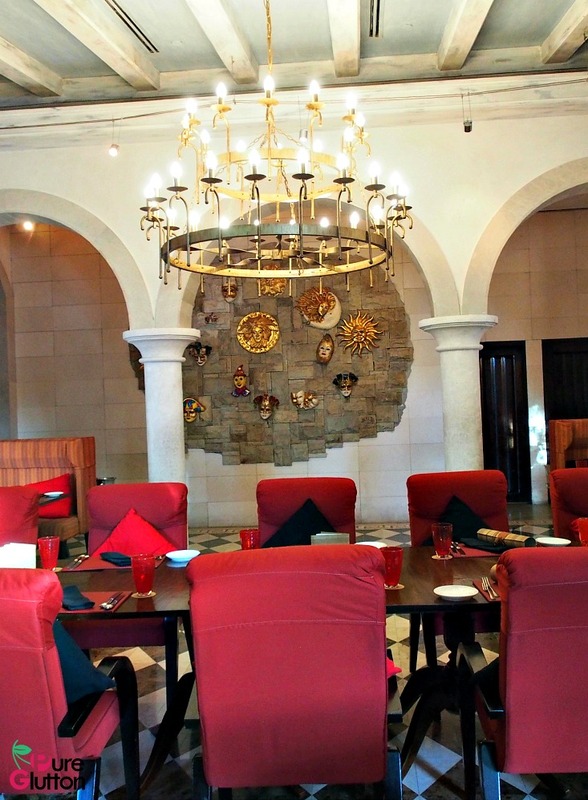 The humorous and gregarious chef loves to mingle with guests in the restaurant whenever possible. If you see him around, get him to tell you about his beloved Sardinia and his amazing family (especially his mom) who still lives there. That carpaccio looks really really inviting.